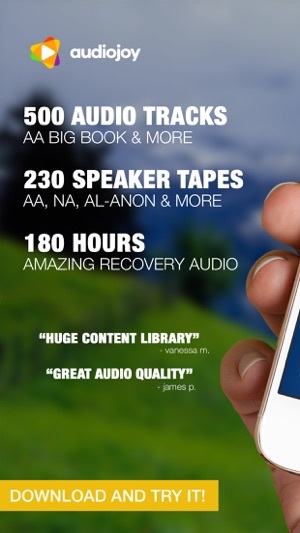 Listen to the entire Alcoholics Anonymous Big Book as well as audiobooks, audio courses, and speaker tapes to help you stop drinking, live sober, and recover from alcoholism. 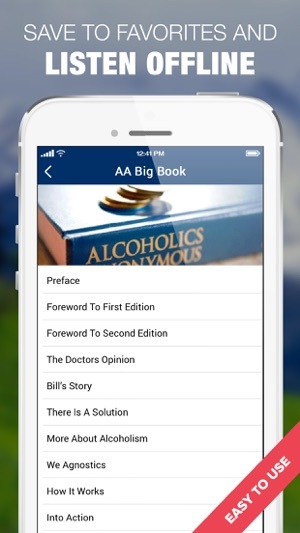 The AA Big Book from Bill Wilson and Dr. Bob has helped millions of men and women give up alcoholism and drug addiction. Learn from inspiring stories by Al-Anon speakers. 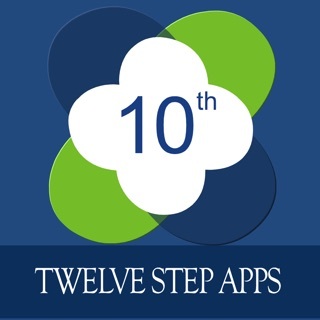 Get tips on how to quit substance abuse through the use of the 12 step program. 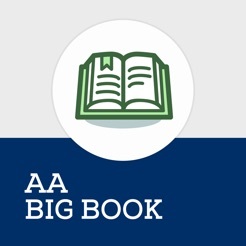 This app is like always having the AA Big Book in your pocket. 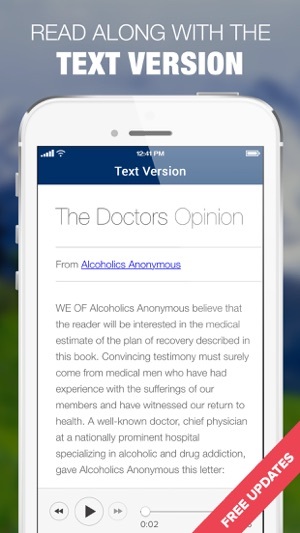 The Big Book is a necessary tool for members of Alcoholics Anonymous and Narcotics Anonymous. Its lessons have helped alcoholics and drug addicts for nearly 80 years by teaching them how to find sobriety through a power greater than themselves. Bill Wilson and Dr. Bob pioneered the 12 step program and started the tradition of Al-Anon meetings. 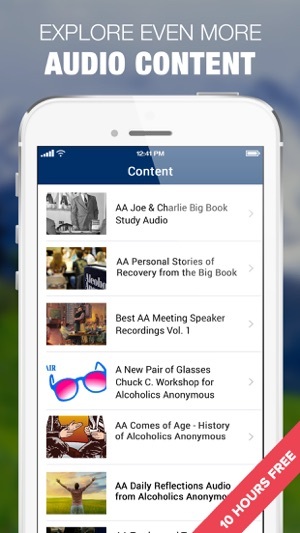 This app not only helps you to master their teachings, but also provides hundreds of hours of content from addiction and alcoholism experts who built on the lessons from the Big Book. LESSONS AT YOUR OWN PACE - Listen to stories of addiction and addiction recovery whenever you want. Can’t make it to a sober meeting or get ahold of your sponsor? Let Al-anon come to you. Create your own playlist that works for your specific addiction. LEARN FROM EXPERTS - Hear from masters and professionals who work in the substance abuse, drug abuse, and alcoholism space. Learn tactics to get clean. Replace negative patterns with healthy habits. GET CLEAN - We understand that the goal is living sober. This app will aid in your recovery by giving you the guidance you need to quit and stay quit. 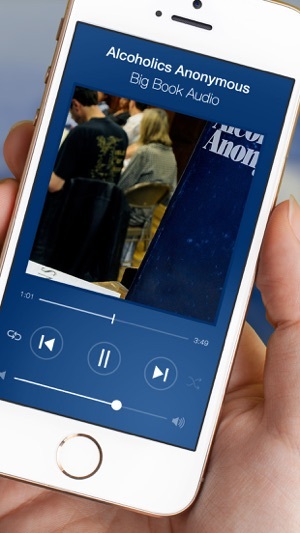 FREE APP -This app is free to download and includes over 30 hours of free audio programs. To unlock and get all content, you’ll want to subscribe. (in-app purchase fees apply). GET ON TRACK - Audiojoy makes it simple. Listen to an audio lesson every day and stay disciplined. Explore a rich library of tracks on abuse. I have been attending Alcoholics Anonymous since 1995 and it literally saved my life. There have been years I attended well over 200 meetings a year- maybe even close to 300. Now I am so busy I can’t attend as many meetings as I want to- I average maybe 3 a week and my goal is 5. This audio app fills the gap with the literature I need to work the program in my life. The meetings I crave are literature based, yet I also enjoy the experience strength and hope meetings of what it was like, what happened, and what it’s like now. This is a good app for the bus ride and when I get a chance to work on my recovery. For me this is literally a life and death issue. Thanks for this audio collection. I’m a Florida Firefighter Paramedic and have been sober for 71 months. I would consider it very Good Sobriety. My spiritual condition and ability to deal with life on life’s terms is usually top notch. I owe a lot of those true promises to this app. I have a sponsor and a homegroup but using Audiojoy I have listen many times to the Big Book and Twelve and twelve. I have all of my sponsees use it. We listen to the speakers and share our thoughts, I listen to Joe and Charlie and Barefoot Bill when working steps with a guy. And I use the meditations and chants and bells to meditate daily. When I share at meetings I often here that people are amazed that I only have 3 years sobriety. My mind, my Marriage, Job, relationships with my children and others and all of the gifts in my life today I owe to AA, a good sponsor, my sponsees, homegroup and the Great Spirit of the Universe whom I call God. But I owe a lot to this Audiojoy app. Please take some time to try it out then purchase the unlimited version. I had been an alcoholic for more than twenty years when I first started working the program I was told I was going to need a Big Book, I didn’t realize how important of a role it would play in my recovery. I’ve read the entire book form front to back too many times to count mine is falling apart but I still use it on a daily basis. I’m so grateful for alcoholics just like me who took the time to share what helped them recover. When I don’t feel like reading I let this app read it to me I love it and hope others will enjoy and use it just as much.